Christmas has come, and with it a sparkling white winterfrost over the countryside. But twelve-year-old Bettina's parents have been called away unexpectedly, leaving her in charge of the house, the farm, and baby Pia. In all the confusion, Bettina's family neglects to set out the traditional bowl of Christmas rice pudding for the tiny nisse who are rumored to look after the family and their livestock. No one besides her grandfather ever believed the nisse were real, so what harm could there be in forgetting this silly custom? But when baby Pia disappears during a nap, the magic of the nisse makes itself known. To find her sister and set things right, Bettina must venture into the miniature world of these usually helpful, but sometimes mischievous folk. 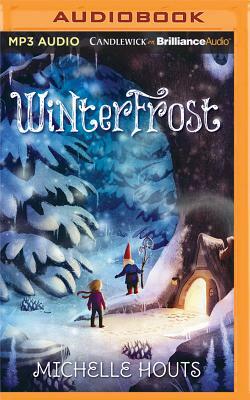 A delightful winter adventure for lovers of the legendary and miraculous.